Every car interior these days needs to be something. Oh, it’s a spaceship. Oh, it’s a lounge. Oh, it’s a fighter plane. Oh, it’s a boat. Screw that. This is what the inside of an Alpine A310 looks like, and it’s just a car. And it’s perfect. I am, frankly, bored by LED strips and screens and wonders and leather patterns and excitement. 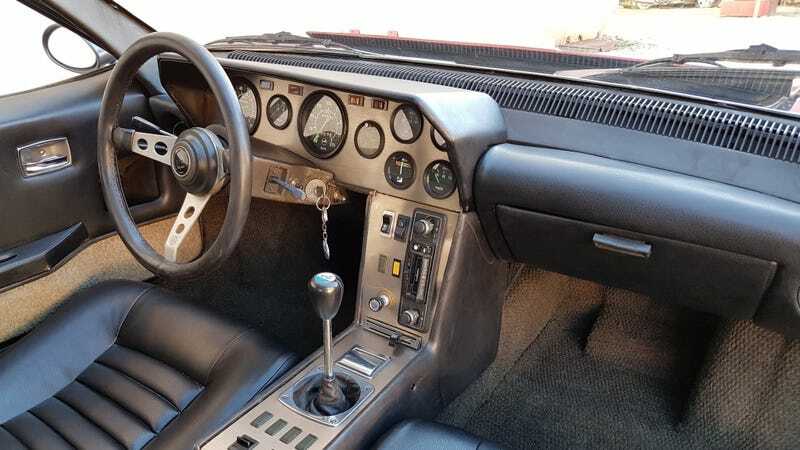 All I want is a ribbed leather seat, a big steering wheel with the metal spokes with the little holes cut out in them, a plethora of easy-to-read gauges, and a straight rod of metal with a little knob on the end to shift gears with. That’s it. If you’re feeling really fancy, you can have a vertical radio. NOTHING MORE. Don’t even know where to start? There’s an Alpine A310 for sale on Bring A Trailer right now. Go buy it. Drive it. Love it. Then give us the good cars. The Car Interior Of The Future: Who Wore It Best?